From the way we make payments to how we invest or borrow money, very few things about how we manage our finances remain similar to how they were 20 years ago. But in the insurance industry, the customer experience has remained more or less the same. Kin, an insurance technology startup founded by Chicago fintech veterans, wants to make property insurance more convenient. And after proving its concept in Florida and Texas, the startup is now turning its eyes toward the national stage. "We want to be in all of the big states in pretty short order," CEO Sean Harper told Crain’s Chicago Business. To that end, Kin has raised $13 million in a round led by August Capital, according to the paper. Kin submitted a regulatory filing for the round in the middle of last month, landing the second spot on our list of February’s largest funding rounds. Through a combination of data and user experience innovation, Kin seeks to make the process of buying insurance more convenient and affordable. The startup draws on publicly available data to take tedious information gathering out of the customer’s hands, significantly reducing the amount of paperwork involved in the process. Kin also uses data to make smarter decisions about risk and to identify and reach potential customers more effectively. The latter helps the startup reduce its customer acquisition costs, ultimately passing those savings on to consumers. Harper sold his last company, FeeFighters, to Groupon in 2012. 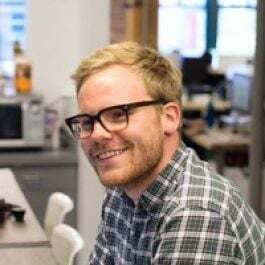 Co-founder and CTO Lucas Ward is the co-founder and former CTO of Rippleshot, a Chicago startup that uses data analytics to detect fraud and data breaches. When Kin raised its last round of funding, a $4 million round in August 2017, the company had 14 employees. According to Crain’s, that number has since quadrupled. Kin’s investors include Omidyar Network, Chicago Ventures, Sandalphon Capital, Commerce Ventures, 500 Startups and M25 Group.